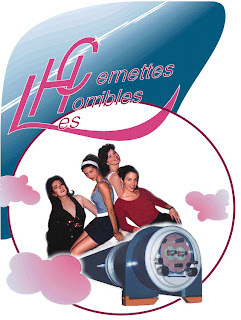 Silvano de Gennaro - "Back in 1992, after their show at the CERN Hardronic Festival, my colleague Tim Berners-Lee asked me for a few scanned photos of "the CERN girls" to publish them on some sort of information system he had just invented, called the "World Wide Web". I had only a vague idea of what that was, but I scanned some photos on my Mac and FTPed them to Tim's now famous "info.cern.ch". How was I to know that I was passing an historical milestone, as the one above was the first picture ever to be clicked on in a web browser!"